Erta Ale volcano is a large basaltic shield volcano in the Erta Ale volcanic range in the central northern Danakil depression (NE Ethiopia). 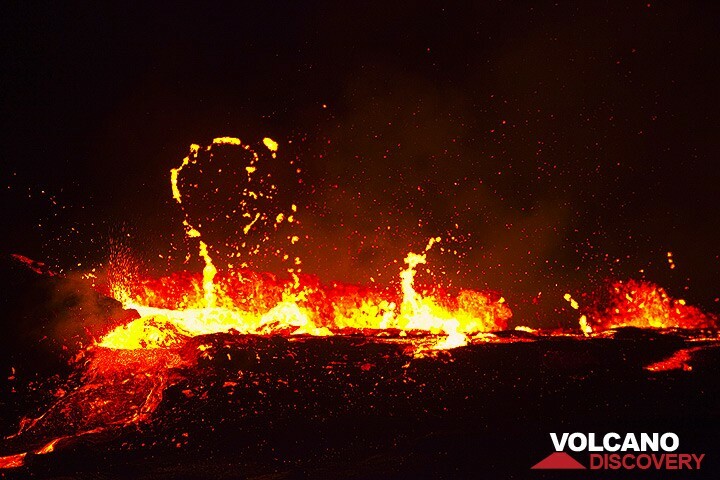 It is famed for its persistent lava lake which has been active during most of the past decades since it was first discovered in the 1960s. Erta Ale is only 613 m high, but as typical for a shield volcano has a very gentle slopes and a large 40 km diameter base. 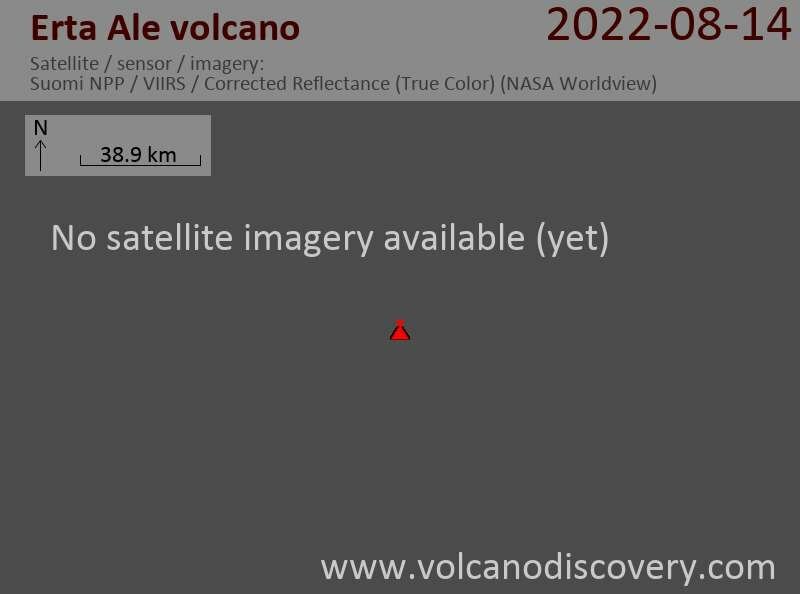 The summit is truncated by a complex, elongated 1700 x 600 m wide caldera which contains vast lava flows and several larger and smaller pit craters, most notably the active north and south crater, which contains the lava lake at present. Erta Ale is one of the main attractions of the Danakil, and had became a popular tour destination in recent years. Unfortunately, the deadly attack on 4 January 2012 against tourists and scientists camped on the crater rim, in which several were killed, illustrates that the area is politically unstable and can be subject to terrorist attacks. Anyone visiting the volcano should be aware of this. 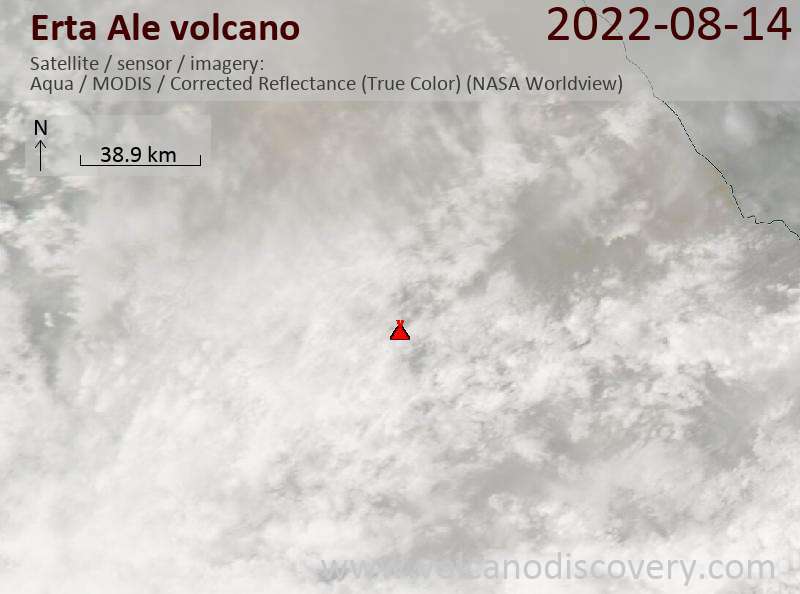 The lava lake of Erta Ale has overflown, our correspondents from Ethiopia reported. The first lava over-spilled the rim of the containing crater at midnight of 15-16 Jan 2016. It seems that the situation is similar to the spectacular events in November/December 2010 when the lava lake last overflowed. More details and images will be posted as soon as possible. During our expeditions in Nov and Dec, the level of the lake had already been occasionally as close as only 1 meter beneath the rim. If you like to join with short notice on this exciting trip, we still have some spaces left on the 7-20 February expedition.